After my recent post about buying a printed copy of a Google Book, several people had questions about digital books and how to use them. So I thought I would review what I do with digital books. I am an avid book collector and digital books are no exception. I would recommend to anyone that if they find books online related to their family history, they try to save them to their own computer. The books I am talking about no longer have a copyright, which often means they were published before 1923. What you can do with the books varies from site to site, so let’s go through my favorite sources of digital books one by one. Internet Archive is my favorite site for finding books, because the pdf’s from there are usually OCR-searchable, meaning, once I open the pdf, I can use a search command to find a name or word in the text of the book (not a perfect search; it depends on the quality of the image and the type). Recently, Internet archive has changed their screens. I find the new interface a little confusing. I went to http://archive.org and chose “Advanced Search.” I usually use the “Description” field and enter a few words or an exact term (in quotations). In this case I entered simply Westerly Rhode Island. Three results came up, however, if a lot of results came up, I could have limited the results further by clicking “texts” over on the side column, thereby getting rid of recordings, films, etc. One of the results was a manuscript from a Newport Library of a “Diary of Samuel Ward.” I’ve never seen this before, but how nice to be able to look it over at home. Yes, please. I clicked on the image, and on the screen that came up, I could page through the document just by clicking on it. For a printed book, the gray edge beside the pages allows you to easy click forward or backward in the book. Of course I could also download it in several formats. Downloading as a pdf is what most people would want to do. The Diary of Samuel Ward on Internet Archive. 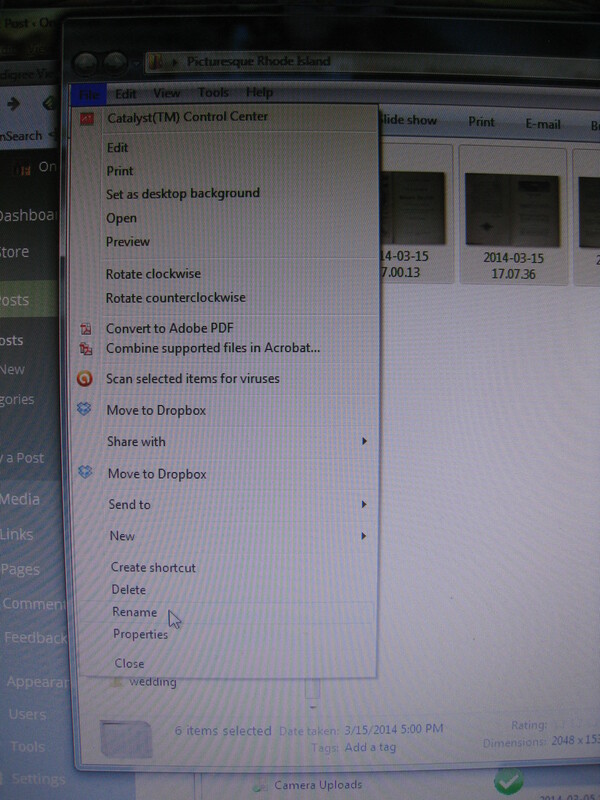 The image can be clicked to page through it, or the download options at the bottom can be used to file it on your own computer. Clicking PDF brings up an option to save it to my computer. I file it properly – my folders are divided into places and family names – I choose the folder that best fits the material. Clicking pdf brings up this screen which allows me to save the pdf to my computer. I tend to arrive at Google books through a general google search, but it can be accessed directly at books.google.com. The Google Books screen also reminds you that you can build a virtual My Library of books right in your Google account. I searched for Spaulding genealogy and clicked on the book The History of Hillsborough New Hampshire Vol 2: Biography and Genealogy. Since Spaulding genealogy was my search term, instances of those words are bookmarked with tiny blue bands over on the side – clicking those, or clicking “previous” or “next” will let me jump from appearance to appearance. The Google book History of Hillsborough shows an EBOOK – FREE button. … clicking on the PDF will start a download. Then I would save the pdf to the folder where I want to keep it. HathiTrust.org has the most user-friendly search function. However, in the end, full books can only be downloaded by those with a login for one of Hathitrust’s partner universities. I searched the phrase “Marcy Ballou” in full text search. Notably, Marcy does not appear in the index to this book. Looking at page 223, I can tell that the mention is for Marcy’s cousin, the other Marcy Ballou. But still, I’d never seen it before. (2) Next, I looked at a Limited (search-only) entry. 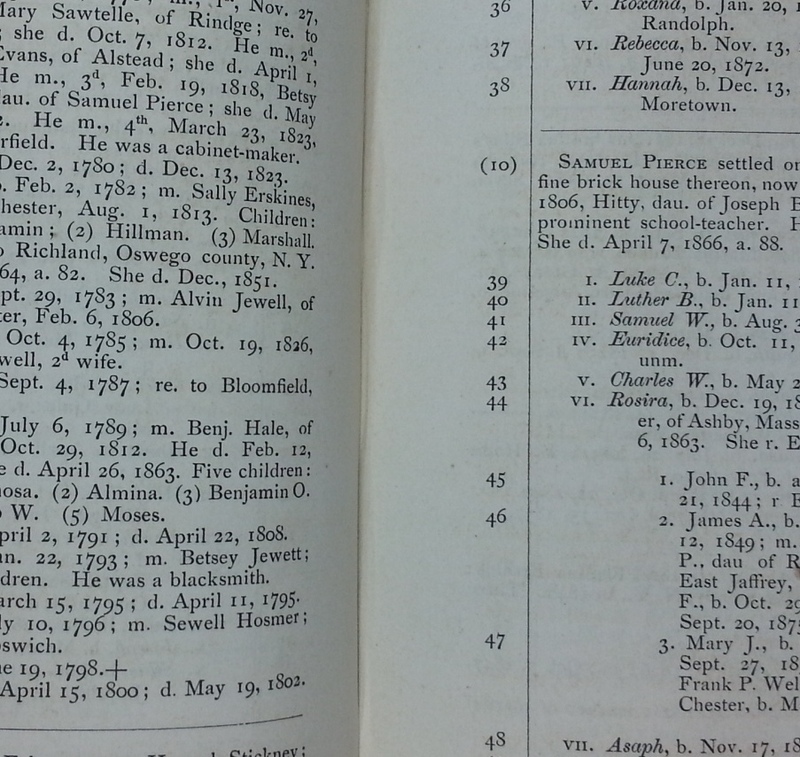 I own those copies of the Rhode Island Genealogical Register, but hadn’t noticed Marcy Ballou’s name in there before. Turned out they both referred to other Marcy Ballous. But in this case, HathiTrust served as a useful index. (3) Looking at The Ballous in America, I tried to search within the book. I searched for a variant – “Mercy Ballou”. Unfortunately, on the copy that came up, searching was not possible. I pulled up an alternate copy on HathiTrust and searching was possible (oddly, both versions were apparently from Google Books). Once a page is found with information, the PAGE itself can be downloaded even without an account. But the whole book cannot be downloaded, even though this book, from 1888, is not under copyright. Note that the bottom corner also offers options for creating a link to a specific page or to the whole book. One of the nicest features of FamilySearch.org is the BOOKS section, somewhat buried under the “Search” menu. Books section of FamilySearch.org – I would use the search box on this page. Searching on this page will show results from any of the libraries listed on the screen. 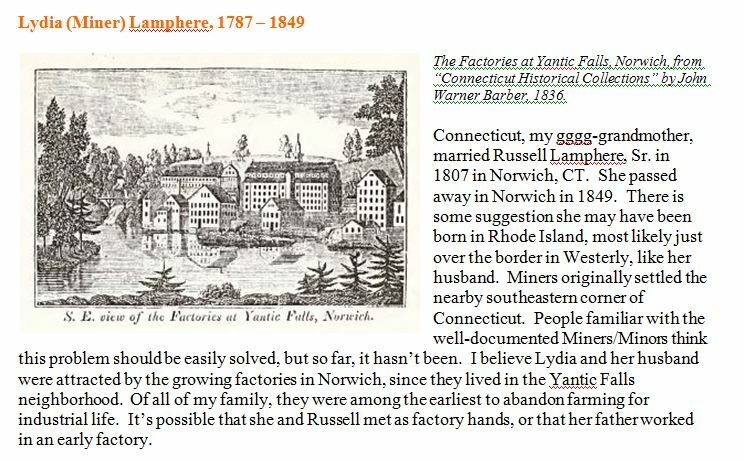 I searched for Lanphere genealogy. The Lanphere genealogy search on FamilySearch BOOKS brought up 131 results. Some look new to me so I’ll check them out. Clicking on one of the results will either bring up a message saying you can’t access it outside of the Family History Center OR if the book is available as a pdf it will start to download right away. However, it’s not really showing you the exact spot where the match is. You will have to find that on your own. But FamilySearch books is my go-to when all else fails. Even if it brings up a book I can’t view, at least I have a clue and I can try to see the book elsewhere, perhaps in person. If I were trying to find a specific book I would check out worldcat.org to locate a paper copy in a library. I used to keep all books in their own set of folders on my computer. Now, each family name or place folder has a “books” folder within it. The most important thing to me when I use a pdf book is to save my own notes. At the very least, I leave comments to mark each page where topics of interest appear in the book. 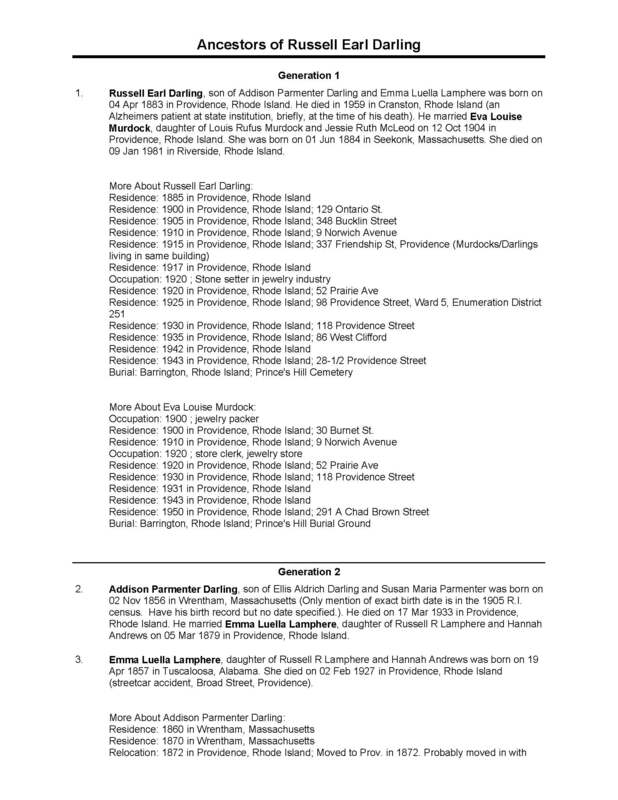 My pdf copy of Genealogical Records of the Descendants of John and Anthony Emery. John Emery is highlighted and has a sticky note. To “highlight” text in yellow, or to leave a note, I click “Comment” in the top corner to access the Sticky Note and Highlight Text functions. The open screen looks like this, with all my highlighted text and sticky notes showing in a clickable column down the side. This way, the next time I open the book, I can go right to the places I want. You can see I have done this about a dozen times in the Emery book. A list of highlighted text, and notes, along the side serve as bookmarks for locations within the book. When you are ready to close the pdf, you must save it to keep your notes. Sometimes, my computer insists that I rename it to save it. I do that, then delete the older version to avoid confusion. Thanks to Barbara Matthews, FASG, I got a tip this week on Facebook about how to print an out-of-copyright book from Google Books. I have wanted to do this for a long time, and tried it myself in various ways (not easy to do). But this time, it’s easy. Barbara pointed out that the Harvard Book Store has a large book-printing machine out on the floor called Espresso. If you are in the store in Harvard Square, you can order a book and it will be printed and bound within a few minutes, ready for you to purchase it. But she also pointed out that for the rest of us who will not be wandering around Cambridge anytime soon, there is another way. Go to http://books.google.com. Find a book no longer under copyright (often, that means pre-1923). The book I searched for came up; a full online copy was there. I opened it up and looked it over – it was a good copy, and clear. The next step is to pull down the “Get this book in print” menu to find the “On Demand Books“ option. Then you can see the various vendors, and prices, for printing the book. Cambridge, Mass. would be the closest location to me (although I could choose any of the vendors). The price for the 228 page book is $10.40. Clicking “Get It” takes you to a screen where you choose white or cream paper for your book, then takes you to the Harvard Book Store shopping cart, where you buy it like a normal purchase. I chose the cheaper shipping option – for the three books I bought, shipping totaled $6.50. Another way, if using the Harvard Book Store, is to go directly to their online catalog, which includes Google Books. 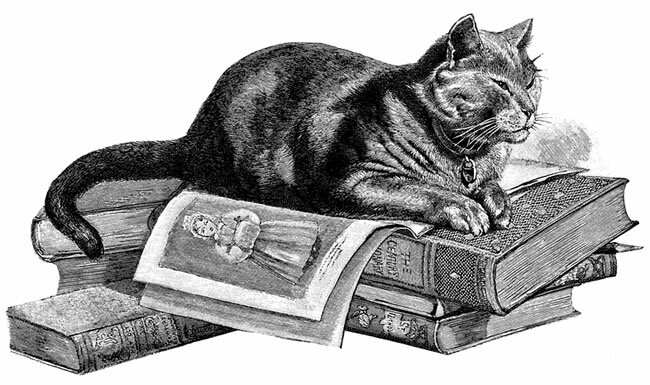 I would like to also be able to print books from Internet Archive. I think it may be possible, but it’s not clear how to do it. The Google Books printed with a white paper cover. Clearly, a back and white copy of the title page was, in each case, used as a cover. They’re cute! 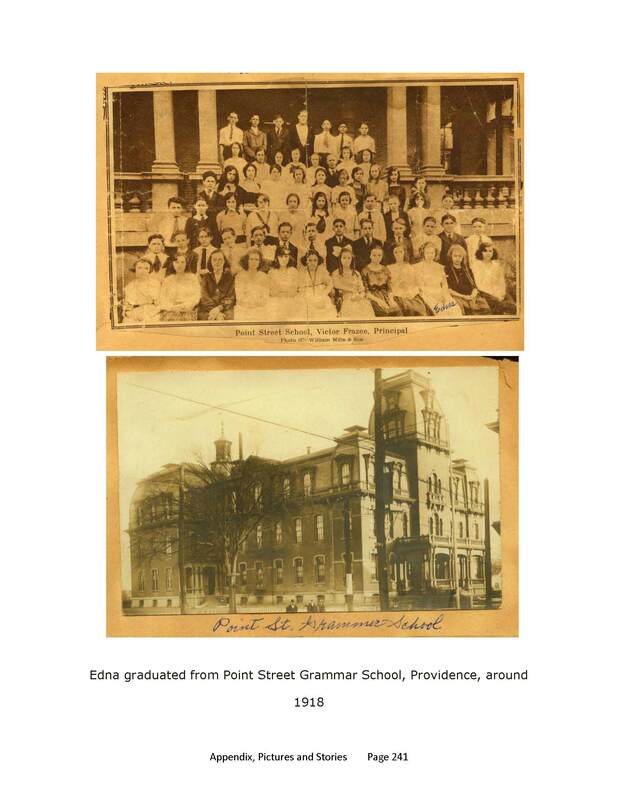 Of course, genealogists also benefit from the reprints of Heritage Press, and the on-demand production of old books from Higginson Books (currently having a sale) and NEHGS. Having a husband who doesn’t mind building bookcases may come in handy here. Spinning bookcase made by my husband. 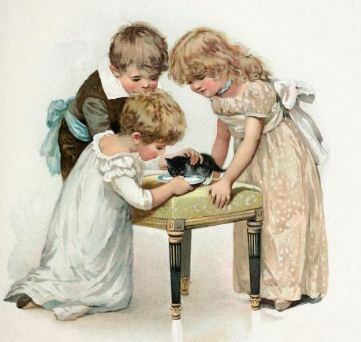 Every genealogist imagines that someday they will pull their family’s story together into a vivid and fascinating book, complete with pictures, that will keep even the younger generation interested. Very seldom is that goal achieved, but I recently purchased a copy of I Come From A Place Called Home, 1882-1929 by Elizabeth Burr Marquard, and I can’t put it down. She has met that goal. I Come From a Place Called Home [Amazon link HERE] follows the story of Elizabeth’s great-grandparents: father William Seibel, mother Sophia, and 8 children, who raised fruit in rural Monroeville, Ohio. The normal ups and downs of a large family, the strenuous labor of farm life and the simple joy of caring about and for each other are set against a background of mental illness, as the mother becomes increasingly incompetent and dependent as life goes on. A story of acceptance, strength and resilience, told in conversational and very realistic detail – much, but not all of it, real – takes us from the pig-slaughtering and lye-making of the 1880s to the cars and college degrees of the 1920’s, as the family experiences their share of joy and heartbreak. I have seldom read a book that captured my interest as much as this story. I laughed and cried along with the family. I recommend it very highly to all readers and aspiring family historians. I know my genealogy friends will want to know how Liz did this. So here are Liz’s thoughts on the process and problems that she found. Can you explain how the idea for the book started? I was fortunate to grow up in a home where family stories were always shared, particularly about my maternal ancestors, the Seibels. There was a great deal of warmth and love associated with these stories, and even though I did not know the people personally, I felt their essence. My ancestors were also savers, so I had access to their old letters, diaries, farm journals, and several manuscripts about their lives. I often told my mother, “The Seibels were such an interesting family! Someone should write a book about them.” She always responded, “That someone is you, Liz.” I carried the notion of this book in my head for about 30 years. Finally, the year I turned 50 I had one of those “bucket list” moments. I started writing. My mother was THRILLED! She was my biggest cheerleader in this endeavor, and she eagerly anticipated each chapter. Sadly, Mom did not live to see the book published. 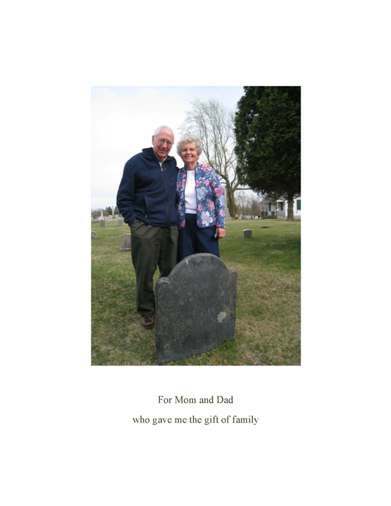 She passed away in 2011, but I made a death-bed promise to her that I would finish writing the book. It was a bittersweet moment when I held the published book in my hands for the first time, knowing that Mom was not physically here to share in this dream come true. Other family historians will be curious – how did you manage to amass enough details to fill over 600 pages? If one person who is no longer here could read the book, who would you want that to be? My maternal grandmother, Ada. She died when I was only 18 mos. old, so I have no memories of her. However, in writing this book, I feel that I have come to know her. On so many occasions in her life, Ada set aside her own ambitions to fulfill the role of surrogate mother to her seven younger siblings. I doubt that she was ever thanked or that she expected to be thanked—there was a job to be done, so she did it. Ada would probably be amazed that anyone thought her life story worthy of writing a book about, but I think she was an unsung hero! The book is a tribute to resiliency, hard work, and determination. But like every family, your family had some painful stories and some rough times. How did that shape your efforts on the book? Some of the Seibels’ most painful moments are the most compelling—the stigma of mental illness, the aftermath of the Spanish Influenza, the anti-German sentiment surrounding WW I, the lower social standing felt by those from rural origins. These incidents allowed me to highlight the Seibels’ strength of character and the incredibly deep and supportive bonds that held the siblings together. Was it hard to include some German chit chat in your dialogue? I wanted the book to be authentic. I knew that my ancestors originally spoke only German but slowly transitioned to English as they assimilated into the American culture. Initially, I used the online translation website BabelFish to make the English-to-German translations for the text. However, I was aware that the translations were not always accurate. Fortunately, my job brought me into contact with a bilingual German fellow who graciously fixed all of the German translations for me. I am very chagrined to be so monolingual! How long did the writing take? How much time was added to that for design, layout, and managing the project on the self-publishing site, CreateSpace? I have been writing this book for 9 years. (I’m a slow writer, plus “life” has a habit of getting in the way!) In May 2015, I decided the entire Seibel saga (100 years) would be too much content for one book. I broke the story after Chapter 32 (1929) and proceeded to explore publishing on CreateSpace. From my initial decision to publish until I held the finished volume 1 in my hands was about 3 months. Are you planning a sequel, or other books? I am currently working on volume 2, which will continue the Seibel saga and cover the years 1930-1985 (circling back to where volume 1 begins). I foresee two books as my life’s literary output. Describe some things you learned about research and writing along the way. I learned that I could completely lose myself in the research, which I actually enjoy more than the writing. And it is true that you can research almost any topic on the internet—how to make soap and apple butter, butcher hogs, plant strawberries, drive a Model T, dance the Charleston, speak 1920s slang, etc. Can you talk about some resources/help you found that other family historians may not be aware of? I found a website that lists Cleveland-area weather history since 1871. This sounds like an odd resource, but when writing about a farm family, it was helpful to check how the weather was impacting their daily lives, decisions, and economy. I also found the site “Vintage Ad Browser,” which offers ads for various subjects through the decades. Besides being just plain fun to peruse, the ads provided a perspective on various eras and helped me to mentally engage with a particular time. Do you have a few tips about self-publishing? I researched all of the print-on-demand publication services, and good reviews pointed me toward CreateSpace, a subsidiary of Amazon. There was no cost to publish, except when I purchase a copy of the book. Initially, I struggled with CreateSpace’s formatting template. (I read many blogs for tips.) It was very time-consuming to cut and paste 32 chapters from Word documents into their 6 x 9 format. For volume 2, I have wised up and am writing the book directly into their template and saving it in that format. I also created a Kindle version of my book. Converting it into the proper format was a rather opaque process, complicated by trying to marry 140 images to the HTML document. Once again, blogs to the rescue! What is your advice to others who feel they have a family story to tell in a book? 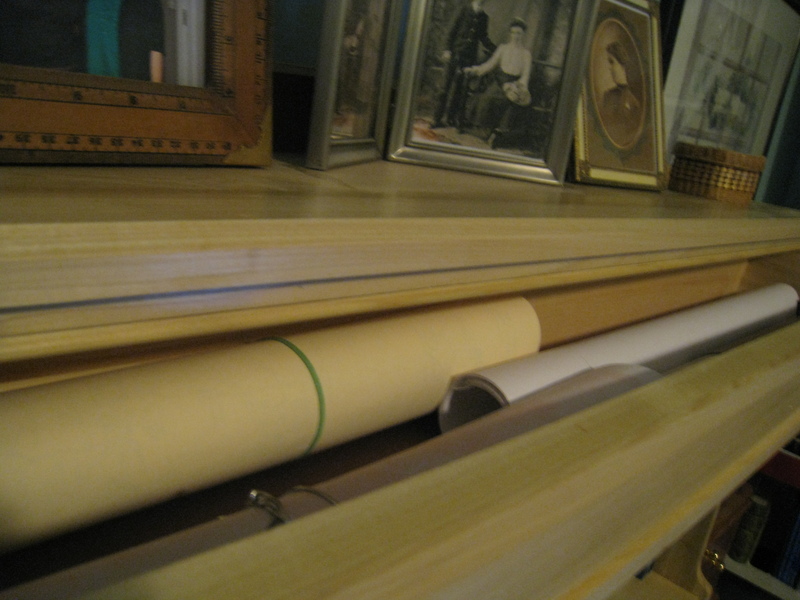 The stash of written documents that helped tell the family’s story. In addition, there were letters and also pictures, many of which were included in the book. I Come From A Place Called Home is available on Amazon.com in both paperback and Kindle format. Part of the journal collection in a variety of holders. Not bad, but I was always running out of room in the boxes. 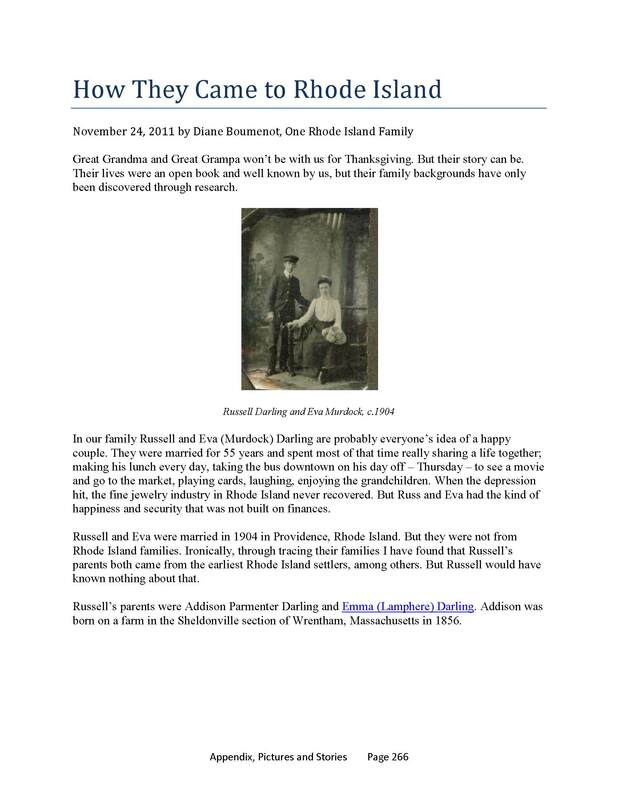 Recently, I bought some loose single copies of the Rhode Island Genealogical Register, to fill in some gaps in my collection of the bound volumes. I knew I didn’t want to throw the loose volumes in a box. Then I would have to pull out all 20 of them to find one issue. The idea of grouping my issues by year came from this 1923 issue of The New England Historic Genealogical Register that I acquired a few years ago at a book giveaway table at a Rhode Island Genealogical Society meeting. 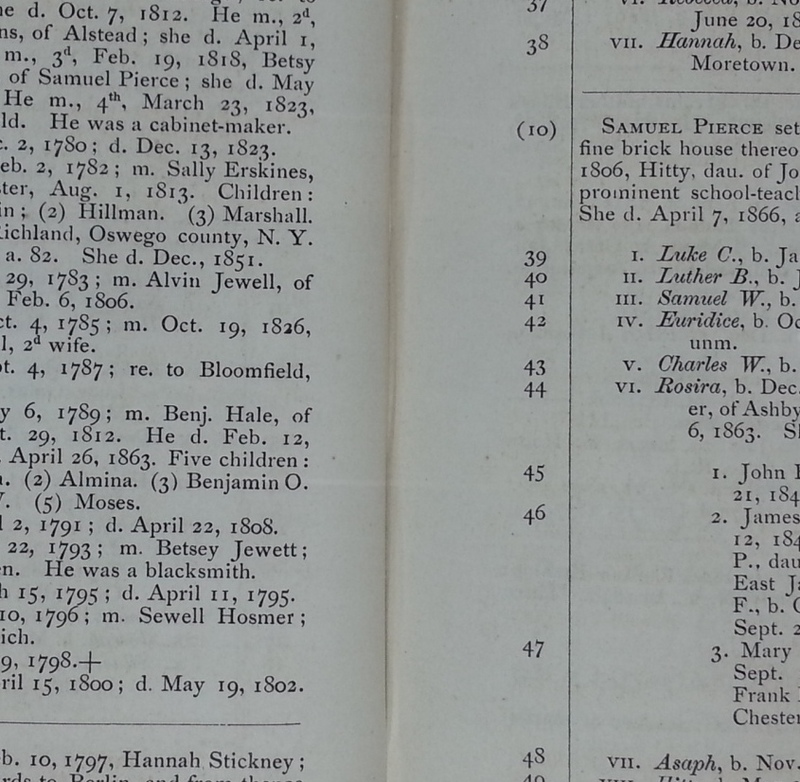 The New England Historic Genealogical Register, all issues for 1923. I was fascinated with the modest efficiency of what is, essentially, a bookcover. It serves as a faux binding for an index volume and four issues. Because it’s labelled, you can more easily find the issue you are looking for than in those boxes. I gathered up some paper, tape, cardboard and my trusty P-touch label maker. Shelf liner paper, various large postcards and other light cardboard I found around the house, and some shopping bags. I got some drawer lining paper with a coupon at Michael’s. It was conveniently cut in sheets that were a perfect size for smaller journals. I also tried some shopping bags, but decided in the end they were too thick. I gathered the journals and put each one in order by year. It’s like making a bookcover, except you add some light cardboard to the inside cover, one in the front of the first issue and one in the back of the last issue, and tape the bookcover to the cardboard to add structure. NOTHING gets attached to any journal issue. The 2 or 3 issues in the middle of the set are, essentially, loose and could fall out, but it’s surprising how well these hold together. Folding the top and bottom of the paper sheet according to the size of the journal. Adding the cardboard sheet. The back cover being slid in place. Note the tape is on the cardboard. Each pile of 4 issues tends to slide around a bit while you’re working on them. That’s actually helpful, making it very easy to position the front and back cover. I tried to use the shopping bags, but only managed to use them on 2 covers when I decided they were too stiff and bulky. I decided wrapping paper would be better, but good quality wrapping paper, like the kind you get at the Container Store. Fortunately I had hit their Dec 26 sale pretty hard last year, so I looked over my supply. Wow, Christmas-y. Oh well. I like Christmas. For the larger journals, I cut up wrapping paper. It worked very well. And it was cheerful looking. The Christmas paper from the Container Store made a nice cover. When I was done, the journals were all separated by year and easy to find. The journal covers in place. They take up a lot less room than the boxes, and the issues don’t slouch like they do in the boxes. This lends itself to using what’s around, although my idea about shopping bags didn’t work. Instead of drawer liners I think another time I would go with all wrapping paper, and, with more planning, not Christmas paper. For people who save wrapping paper from use to use, this could work well. But it would have to be heavy. Rolls of shelf lining paper might work or, of course, the ubiquitous brown paper bag, or brown wrapping. Almost any large sheet of paper is a possibility. Another time I might be more careful about matching all issues of something in one paper. Although in subsequent years it’s bound to get mixed up anyway. For those worried about the loose issues inside, an elastic from top to bottom would protect them more in the case of an earthquake or a broken shelf, and wouldn’t show. For the cardboard inside the front and back cover, large postcard ads worked well, or shirt cardboard, old folders, even large index cards for the smaller journals. It need not be absolutely as large as the cover. Another time, I would make labels on the computer. It took too long with the P-touch. The newly faux-bound journals are looking good. I did about 30 volumes; the rest are elsewhere in the bookcase. I’m keeping some holders around for new issues. I guess I would have to do this once a year. I sometimes like to scan old photos, scrapbooks and out-of-copyright books at home. My husband, a woodworker, recently made me a photography stand to help me take the pictures. This is for when a flatbed scanner would be too slow. We researched the photography stands available (mostly made of metal), and I showed him photographs of a few I’ve seen here and there at libraries. None of that helped much, and a lot of the advice was conflicting, so we pretty much made up our own design. 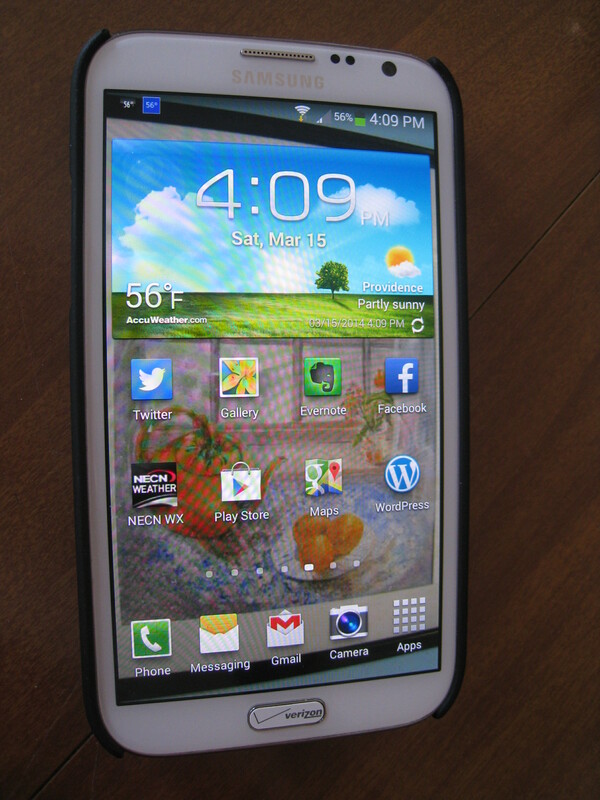 My phone is a Samsung Galaxy Note II. Its freakishly big screen comes in handy in many ways. I knew I wanted to use my smart phone, rather than my camera, mostly because I can command the smart phone by voice to take the picture, and don’t have to touch or move it. I give 100% credit for this idea to Jenny Lanctot, whose post on Are My Roots Showing? about using a locker shelf to make a photography stand clued me in to the fact that saying “shoot” would snap the picture on my Android smart phone. Yes, I needed that help despite the fact that my phone camera, when in operation, has the words “You can take pictures with voice commands like Smile, Cheese, Capture, and Shoot” displayed across the bottom at all times. I tried Jenny’s system, and realized the power of that simple voice command to speed up photographing a large number pages – you can go as fast as you can turn the pages. 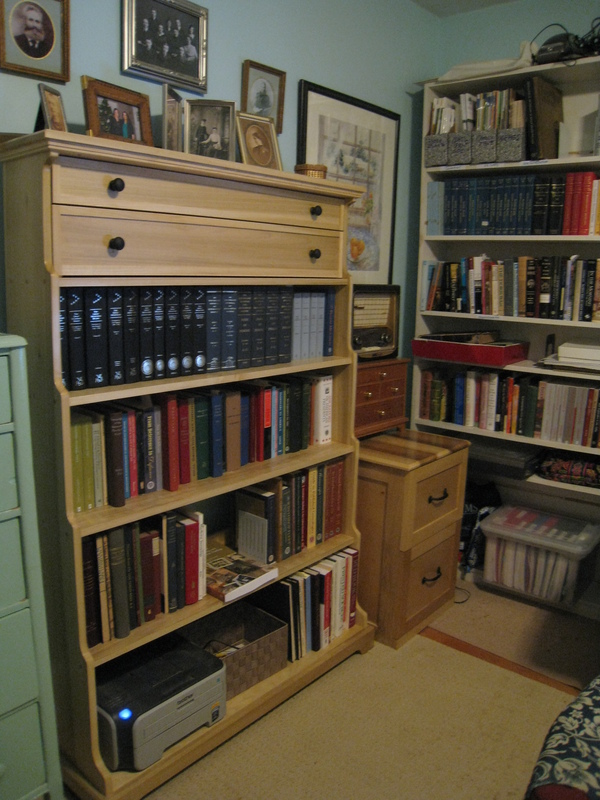 However, I wanted a system that would accommodate wider books, and take two pages at a time, if desired. There were several problems my husband and I puzzled over along the way. This is how we resolved them. Although I don’t plan to take this anywhere, I do plan to move it from room to room, and there will be long periods where I don’t use it at all, so I want to store it compactly. For that reason, he made it in pieces that simply fit together when assembled. One or two pages at a time? 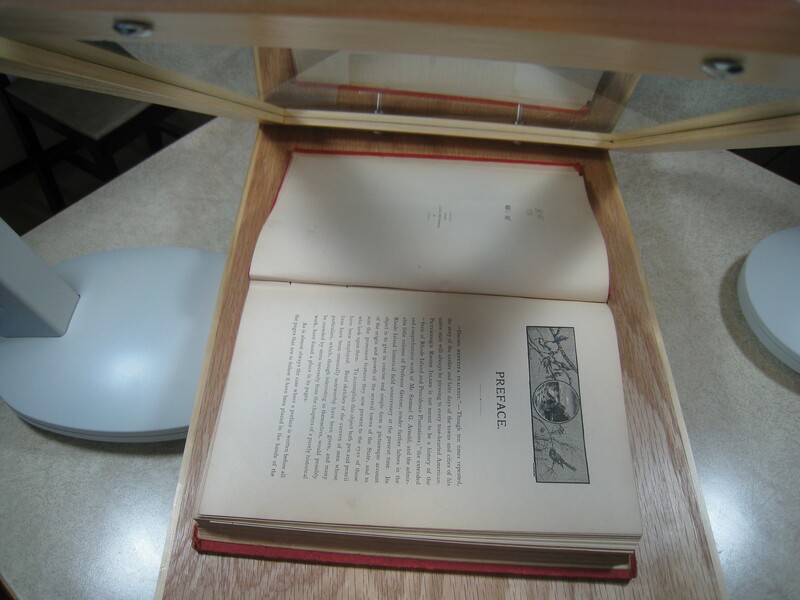 Most professional set-ups for book scanning (for instance, this example) put the book in a cradle with about a 90 degree angle that the book rests in. Cameras are above on each side, shooting one page, then the other, then the page is turned. The pictures are integrated into one pdf. Since I wasn’t very interested in setting up two cameras, that wouldn’t work for me. I thought, in general, I would be happy shooting two pages at once. Of course, shooting two pages at once could require a fairly big surface, so hubby worked with the measurements of the biggest book I might want, say, a page measurement of 9″ by 12″. 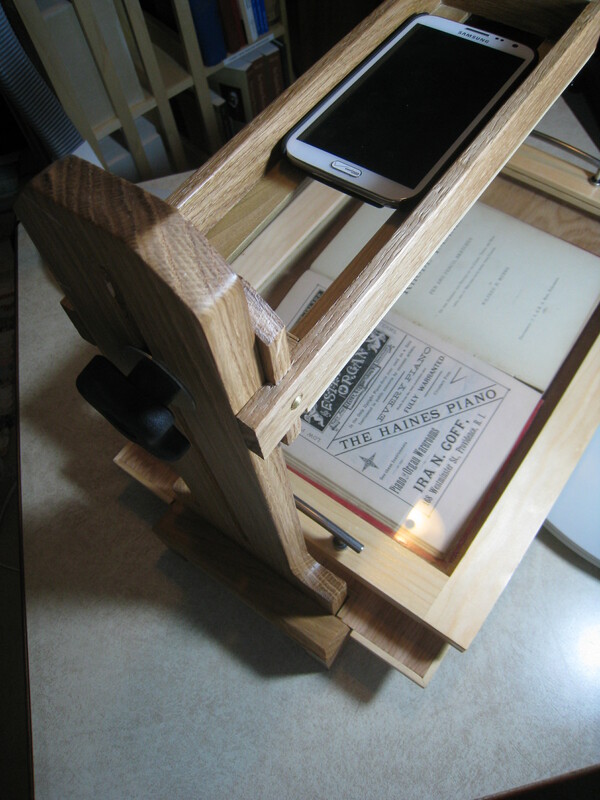 This required significant flexibility for the height of the camera, since I might want it farther up for a large book, but be able to lower it to get close to a smaller book. He put the camera holder on a slider with a knob closure. If I use the glass, I am lifting it each time to turn the page. It’s not that bad, but not ideal. With the camera relatively close, we didn’t think there was enough room to hinge it, and, that would have made the glass a permanent fixture in this process. I was concerned about the tone of the pages – old books can easily appear yellowed and even sepia. I examined the options on the phone’s camera, especially the AWB – adjust white balance – settings. In the end “auto” AWB worked best. The only option I saw for the pictures in my camera was jpeg, although perhaps there are others. I used a fairly large size (2048 x 1536), which seemed to work well. When I first started trying this out I quickly realized that lighting would be the big problem. There were shadows everywhere, and I had two clip-on lamps that I thought I would use, but they could not get high enough above the surface to stay out of the reflecting glass. I read up on lighting and there is a reason photographers use those giant white umbrellas and enclosed boxes – they want to diffuse the light source. Light, apparently, should come from a wide source, not a narrow opening. 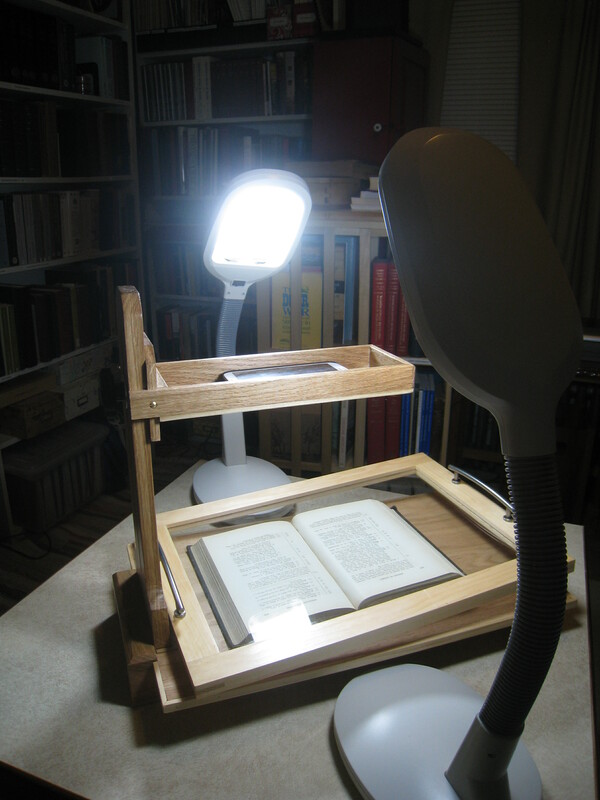 I chose to deal with this by buying two flexible table lamps that had wide light openings – “Sunlight Desk Lamps.” They work quite well, but on the other hand, if you look around on the web there are many homemade ways of widening a light source. I think these lamps will stay on my desk when not in use. One of the things I required in this system is an auto-upload of each picture so I don’t have to bother with that. My phone’s camera was already set to upload to my DropBox account. So after taking the pictures I could see them right away on my computer. I noticed the camera stopped uploading when power got to only 25% in the phone, but as soon as it was plugged in, the rest of the pictures appeared in Dropbox. At this point, some edits were in order, and unless they could be done in bulk, that could be difficult. The first thing I did with sets of page pictures was to rename them in bulk. Using “Rename” under “File” will allow you to give a name (such as a shortened title of the book), which is then assigned to each document you have selected in the folder, with (2), (3), (4) after each one, in order. That would help for keeping them in order. To batch crop the pictures and eliminate the unneeded edges, I think you would need to download some software. At this point, there is a folder full of jpeg images, in order. I have Adobe Acrobat and that would make compiling the pdf book from the jpegs fairly simple. I think it would be good to photograph the covers and add those. To assemble the book I could either select ALL my pages and right-click to “Combine supported files in Acrobat” or open Acrobat and under “File” – “Combine” – “Merge files into a single pdf” open a box where I could drag all the pages in. 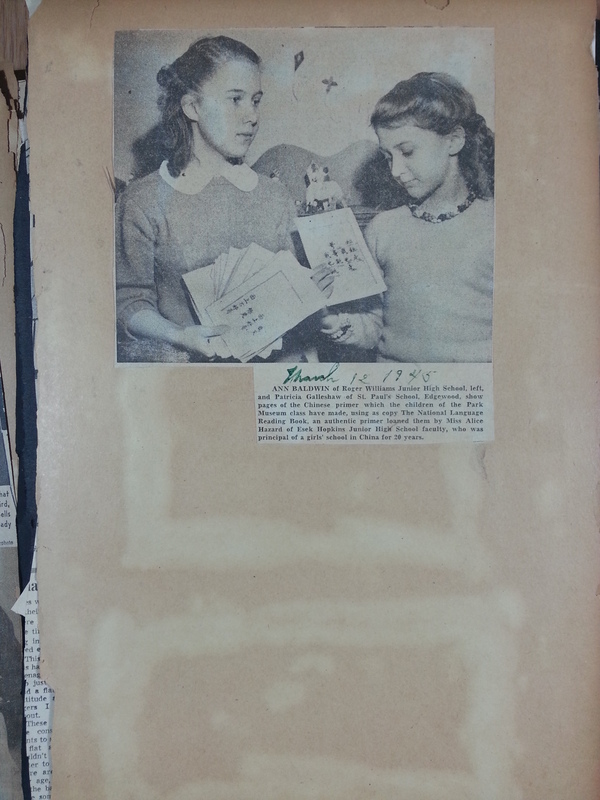 A picture of my Aunt Ann and a friend from 1945, pasted into my great grandmother’s scrapbook, soon to be digitized. I like the stand, lighting, and optional glass plate. 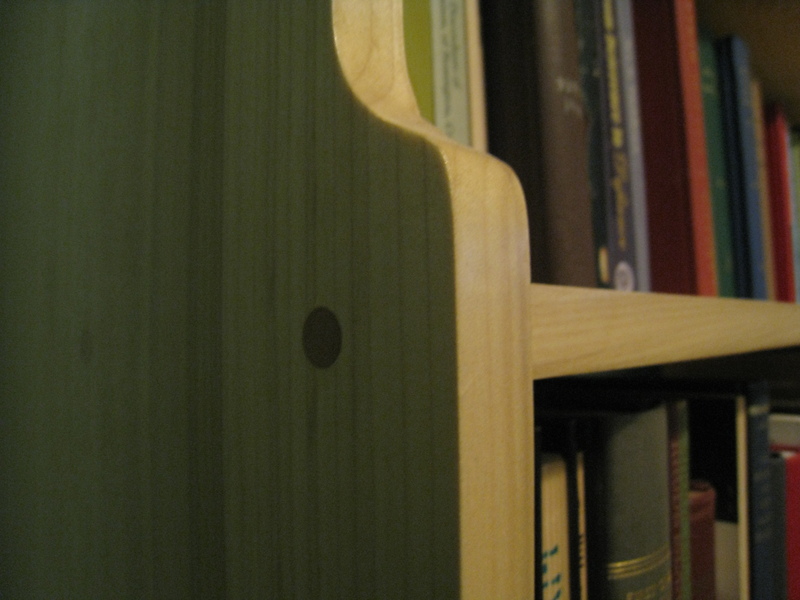 For other glimpses at hubby’s woodworking, see the bookcase he made me last year. 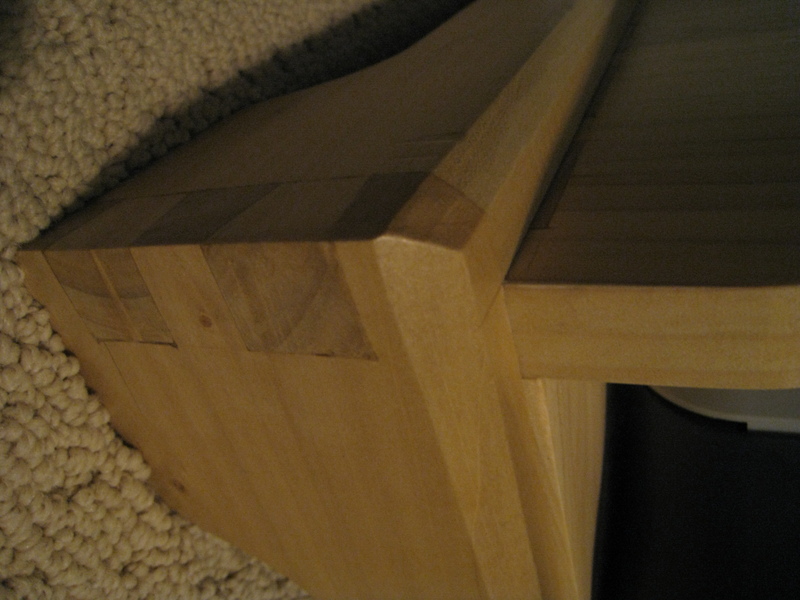 What follows are some details my husband provided me about the construction of the stand, and a few more pictures. There are no detailed plans; I’m afraid this is all we have. The stand was made from scrap wood, but my husband says strong wood like oak is important for something like this. All the pieces at parade rest (as my husband would say). The platform is white oak plywood trimmed with (I think) poplar. Its outer dimensions are 13 x 21. 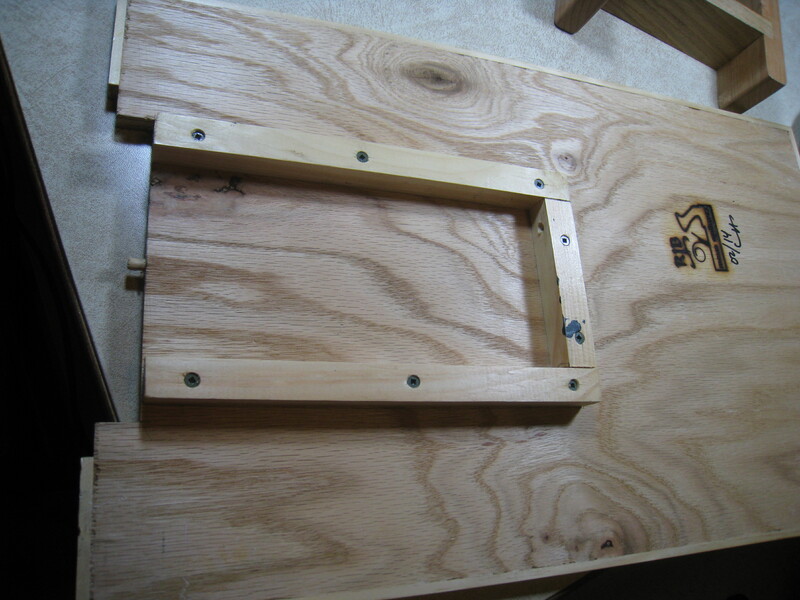 When assembled the surface of the platform is 2-1/2 inches off the table. The underside of the platform. 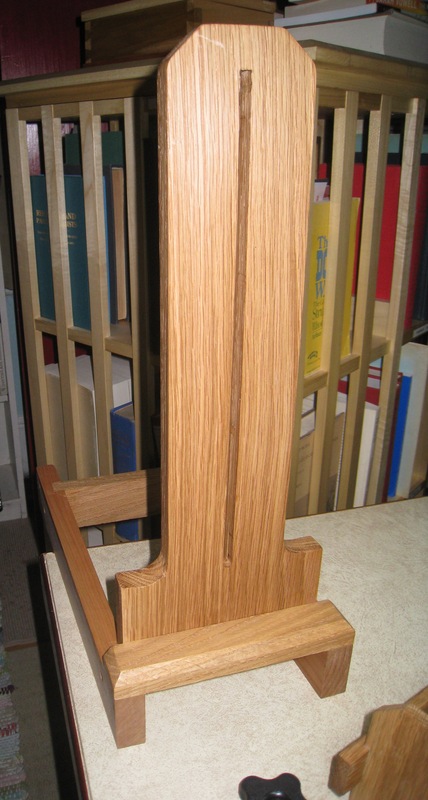 The stand is made out of cherry on the bottom and the rising part is red oak; the top of the riser is 18 inches off the table. There is a slit in the riser, it measures 12-1/4 inches. 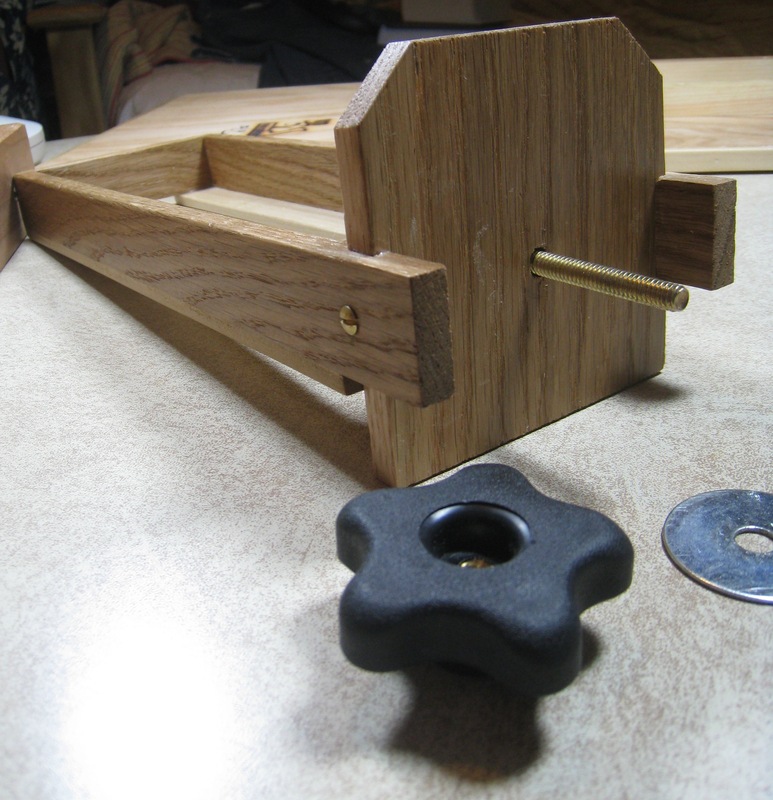 To attach the box to the riser, he used a fender washer, and there is a T-bolt assembled into the box. When assembled, the knob (purchased at Lowes) will allow me to adjust the height of the box, and therefore the height of the camera. He carefully fit my phone to the inner edges of the box – he tested this several times. I believe it is red oak with poplar edges. I like the fact that there’s only about an extra half inch in there – I can line the phone up against the edge and be sure it is straight. The box arms extend out about 12 inches over the platform. The stand is not actually attached to the platform. They just slide together. 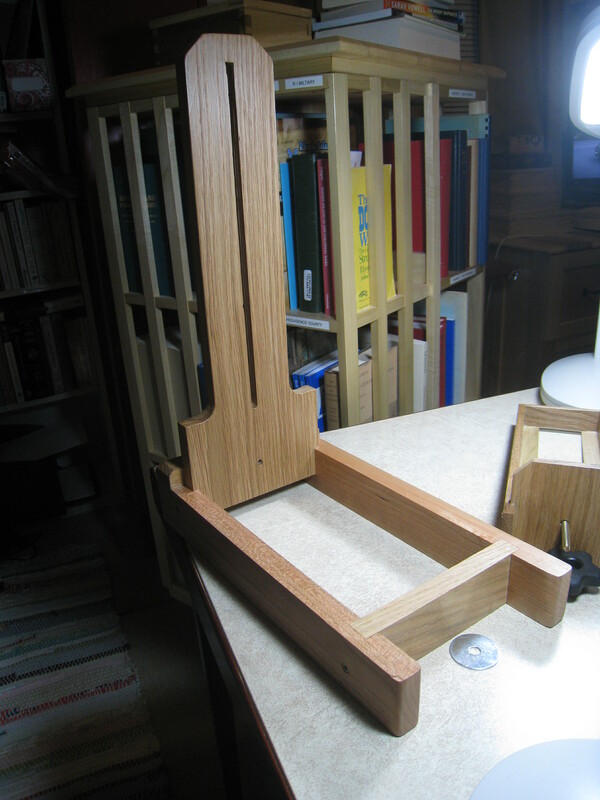 The base of the stand extends from back to front about 13-1/2 inches. The platform fits over it. The glass in the tray is 1/4 inch think, with finished edges for safety. The outside measurements of the tray are 14 x 20. 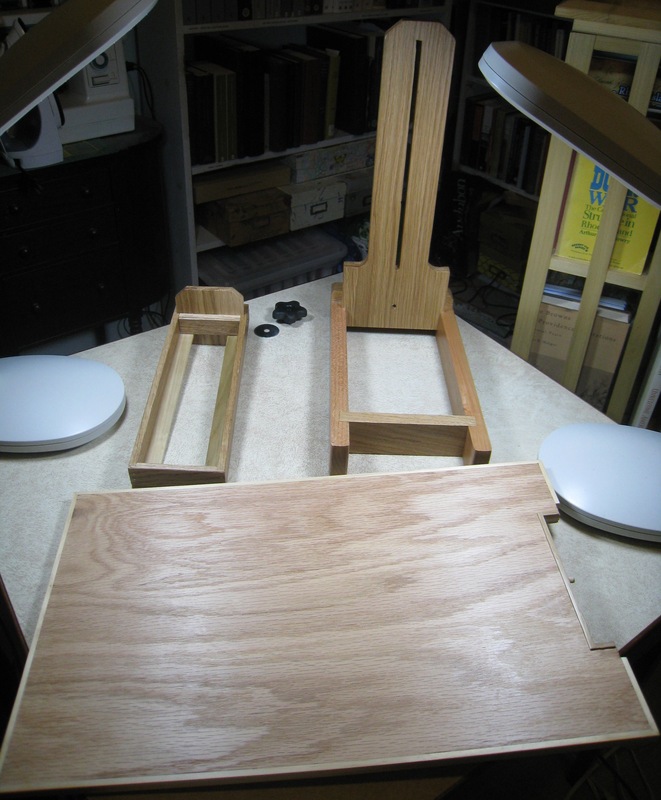 For further information, consult my husband’s blog at AccidentalWoodworker.blogspot.com and search for “camera stand”. It’s best to leave questions about the construction there. 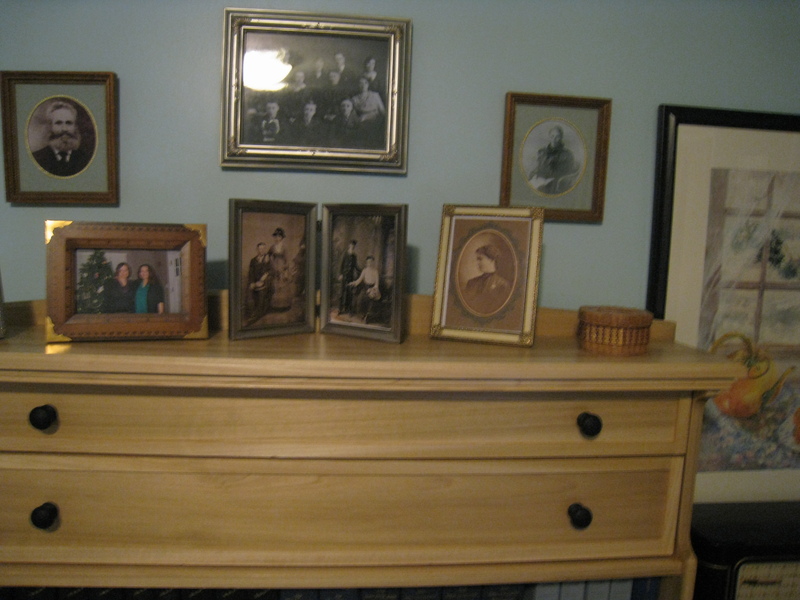 What do you get when an avid woodworker marries a genealogy fanatic? You tend to NOT get a clean house, carefully planned meals, and long afternoons by the fire (well, we don’t even have a fireplace). The new bookcase matches the filing cabinet that was made for me last year. The new bookcase matches the filing cabinet, and makes my old “unpainted” bookcase look pretty pathetic. 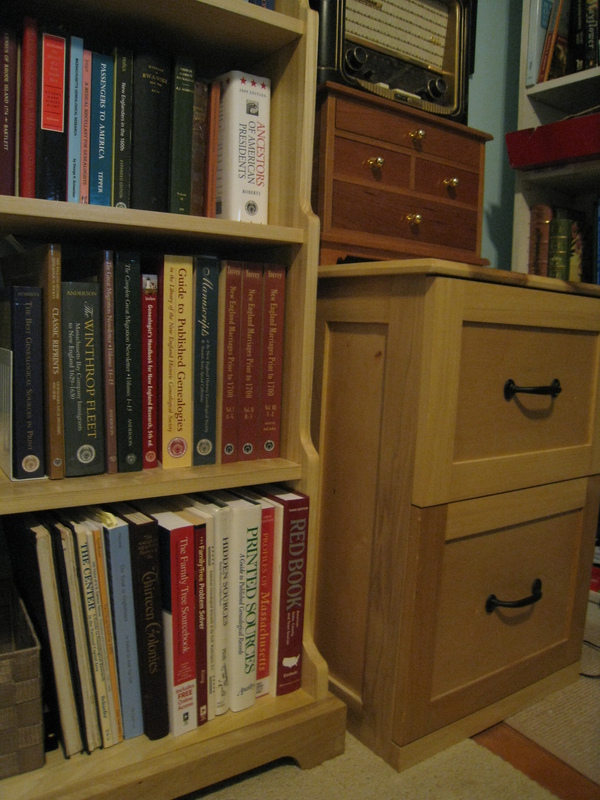 To accommodate large and small books, Hubby stepped each shelf , with the largest being at the bottom. That shelf matched the measurement of the printer we needed to put there. The bookcase was so heavy that we had to wait til my future son-in-law was around in order to move it upstairs. Then future son-in-law helped me get the books set up and move the pictures. Yup, he’s a keeper! 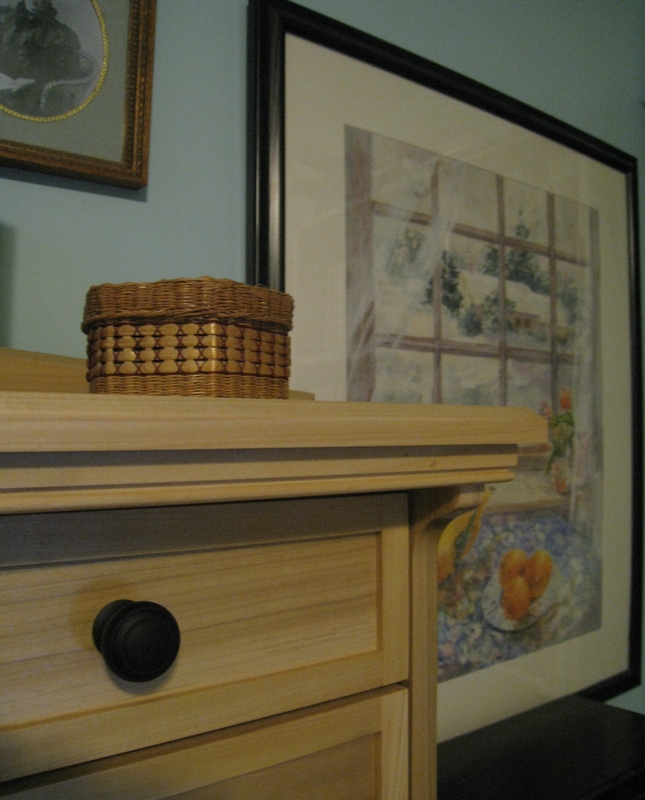 We thought of slots or vertical holders, but in the end Hubby went for drawers for the charts. Hubby works almost entirely by hand these days; that is, he usually manages to avoid power tools. His work always includes surprising and lovely details. All in all I am appreciating how this bookcase makes my tiny space work better. And I was able to store my scanner in the old bookcase, line up my journals in holders, stow my box of files in the old bookcase, and get my books at eye level. 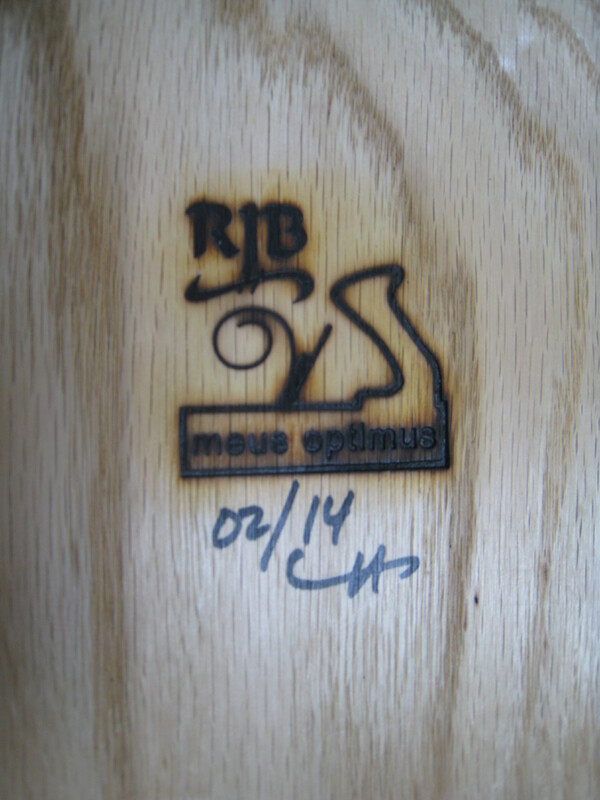 It is a very unique experience in life to have a piece of furniture built especially for you. Hubby designed this himself, and spent every evening and weekend for five or six weeks crafting this by hand. It was so popular on his blog that he had to mail a “story board” to a reader. It’s pretty popular at home, too! My family history book is now being printed at lulu.com. Here’s how I got there. 1. Decide what to sections to include. 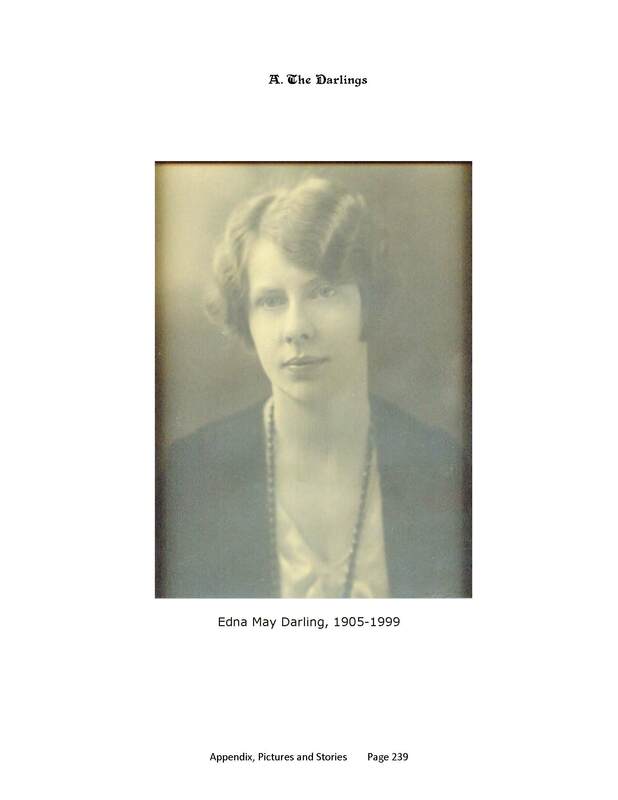 I reviewed in my last post “Putting Together a Book about the Darlings“ that I was including a chart of ancestors for my grandmother, Edna May Darling, a separate Ahnentafel for each of her parents, a place usage report for direct ancestors only, a name index, and a 150-page section of photos, blog posts, records, and clippings. Tip for next time? keep thinking. Not sure this selection couldn’t get better. 2. Make the report sections using software. This is really the easy part, if you are careful about consistent details in your tree software. I created these reports in Family Tree Maker. I have found in the past that software-generated reports will easily print on the book publishing sites. So I wasn’t too worried. I made and saved each report, and if I later updated any data, it automatically updated next time I opened things. I compiled the reports in a “book” in the Family Tree Maker software, which I then turned into a pdf and moved into a special folder. I used standard fonts. The page size was 8-1/2 x 11, so I just stayed with that. Tip for next time? Carefully save the formatting for each type of report with a name that indicates it is for a book. Those formats can be reused. 3. Make a title page and table of contents. I spent way too much time on this. The Family Tree maker “book” called for a title page (it was mandatory). I quickly realized it would let me make the title page more than one page long. That seemed good, so I added a dedication page and a little other information. What was tough was formatting those pages in Family Tree Maker. Things had a set place that couldn’t be adjusted. Pictures clung to the top edge of the page. Four pages would turn to three. I wasted a lot of time on this. Far better to have used that mandatory page for just a brief note or discarded it from the final version later. I eventually realized I should make my own title pages in Word. I did even worse with the Table of Contents, and I used separate ToC’s on the Reports section and the Pictures/Stories section. Should have combined them myself up front in my own Word document. Tip for next time? Make the title page and a complete table of contents in Word. In fact, such a document could be re-purposed from book to book. If you are doing this, make sure page numbers don’t start in the initial section of the Family Tree Maker book. 4, cont. – Add the blog posts. I found that copying and pasting from the blog onto a Word document worked pretty well. I arranged the blog posts in amongst the other materials in the order described above. But when I really looked at them, and did some final formatting, I realized I had lost a lot. The blog has a style sheet that determines, for instance, what a bullet point looks like, or how a headline is formatted. But much of that was lost or compromised by cutting and pasting. The posts didn’t look as good. Using lots of page breaks, I managed to move the pictures around more attractively without having them jump around. So that helped. Then I gradually reformatted various headings, captions, and spacing to make things appear more uniform and clear. Tip for next time? Either find some special product for transferring blog posts, or throw them all into one document BEFORE adding extraneous things, and revise the formatting first. 5. Add last minute content. There were topics I had never blogged about, that I thought my family would care about. I thought my mother would like to see the memorial to her ancestors Lawrence and Cassandra Southwick on Long Island so I asked blogger friend Heather Wilkinson Rojo if I could borrow three of her husband’s photos, taken on a visit this summer and used in her blog Nutfield Genealogy. She said yes! Tip for next time? I really wouldn’t be that comfortable asking friends to borrow their text. But borrowing with permission pictures from the distant cousins I’ve met online, or from other interesting blog posts about the areas where my ancestors lived might have been fun and not too intrusive to ask. 6. Format the picture/stories section. I had already finished the Family Tree book so I used the next number to begin my picture/stories section. Setting custom page numbers was easy in Word. Then I divided the Word document into sections, so that I could give a chapter heading up at the top of each page. I used odd and even page settings for this. I also spent lots of time making sure various things started on an odd page, so the book would look better. The trouble began when I found a cool font, Primitive, for my title page and headers. I used it in lots of places. I colored it a sort of sepia. It was fun. Tip for next time? Never, ever use weird fonts. 7. Combine all sections into one pdf. There were three documents – the 4-page title page ( a Word document saved as a pdf), the reports section (the pdf book I downloaded from Family Tree Maker) and the Pictures/stories section (a Word doc saved as a pdf.) I put them into one pdf using the full version of Acrobat. Tip for next time? Always have at least one blank page in these documents. That way, you can copy it to add a page here and there in the final pdf if needed. 8. Find a book publishing site. I have used lulu.com about 6 times and find it very easy to use. But I wanted to shop around for price (since I wanted to print in color) and so I explored other sites. I was surprised at how confusing the other sites were, and at the different business models I saw – some wanted you to sign up for a “consultation”; some wanted to sell you a “package” starting at $350; some seemed to have no pricing that I could find. Well, lulu.com, baby, I’m back. Tip for next time? I had read a few negative things online about the quality of CreateSpace on Amazon, but they are cheaper, so sometime when it’s not a gift, try them. 9. Upload. I uploaded the complete pdf. Things went terribly wrong. Lulu said the fonts were not embedded. Let me just say, based on experience, I knew it was the Word docs, not the Family Tree Maker pdf, causing the problem. The first thing I tried was downloading a set of pdf formatting preferences from the lulu site, and using those in Acrobat. Oddly, that helped but didn’t solve it. I also tried saving the document as a PDF-A. I didn’t know much about any of this but figured it out as I went along. The problem with PDF-A turned out to be that only single documents could be saved as PDF-A; the compiled set of three docs in one could NOT become PDF-A. But by this time I only seemed to have one conflict, which was that the Primitive font was not embedded. Well, I thought, get rid of that font. I went through the two Word docs and changed that font, including all chapter headers. Combined. Uploaded. Nope, still showing Primitive not embedded. Fussed some more and found a way to search in Word by format, and specified that font. You won’t believe it, but it turned out I had blank lines which were technically in the Primitive font. REALLY? That’s someone’s idea of a problem? Fixed that. Combined. Uploaded. Cha-ching, all set. Tip for next time? Get a good night’s sleep. 10. Make a cover and print. In the home stretch now, I made a book cover using the tool in lulu. I went with whatever standard cover came up. I made a pretty collage in Picassa of some folks mentioned in the book, for the front cover. I grabbed some text about my family from a blog post and used it on the back. I like to enlarge all the text on the cover, especially the spine. I changed the spine color to match the color of the collage background. I kept the book in my account and ordered a few days later when lulu was offering 20% off. It was shipped the following day, which was quick for lulu, and very commendable. Tip for next time? Make any collages, formatted pictures or cover text FIRST when you still have lots of enthusiasm for the book. When I was new to genealogy I remember reading somewhere that a compiled book suitable for giving to the family could not be assembled in a day or two. Good advice! Unless your tree is tiny and in good shape, and you don’t want to add much more, you will need some time to choose wisely, clarify your stories, make it flow, and make it look good. This book is a Christmas gift, and I’m starting it especially early so that I can have it ready in time for any good sales that come up on the printing sites. I usually use Lulu.com. 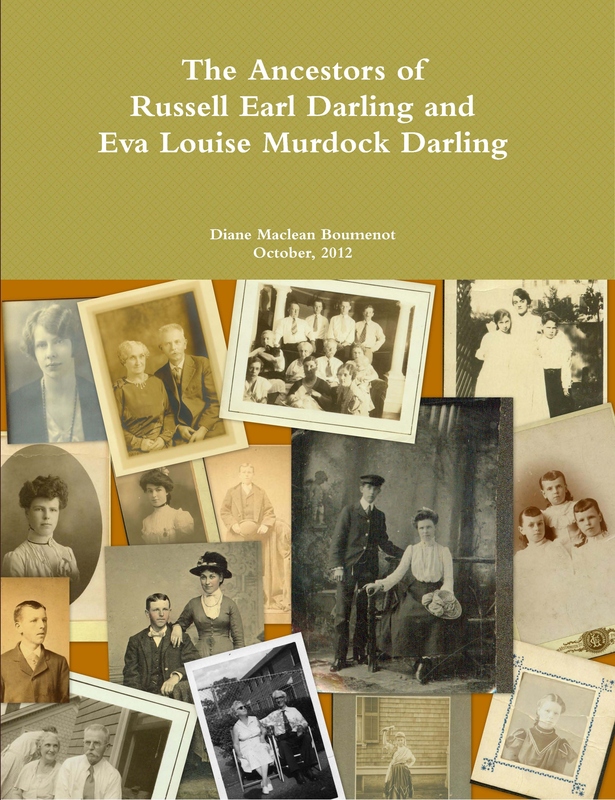 The book is about mom’s mother’s family, the Darlings. I have been researching mom’s family for several years (Dad’s family of Scottish Highlanders is graduate-level work that I will pursue when I’m a little more experienced). They are divided into Darlings (her mom’s side) and Baldwins (her Dad’s side). For the last six months I have been working almost exclusively on the Baldwins, after a major breakthrough. So getting back to the Darlings was a bit of an adjustment. Have some interesting stories appear from the “notes” field on Ancestry. 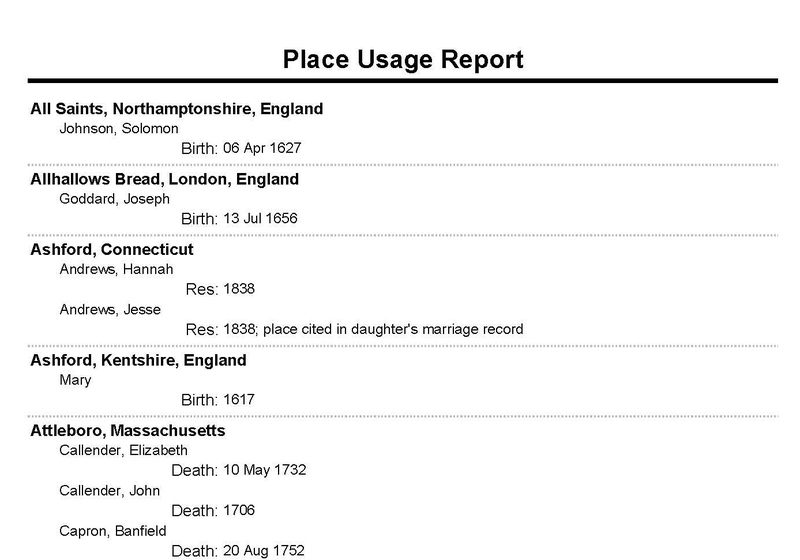 Those are not public on Ancestry but they do print in a report. Compile stories, documents, vital records and items in the book which were not well suited to blog posts, but interesting to the family. For instance, my great-great grandfather testified in a murder trial. Well now that I think about it, maybe that is interesting enough for a blog post! I keep my tree in Family Tree Maker and Ancestry.com. It’s all about synchronizing – those two things will synch up with each other every time I open Family Tree Maker. I use Ancestry on my iPhone quite a bit, and I really like that I can note something there which is recorded in Ancestry, and it automatically synchs to Family Tree Maker next time I open it up. The footnotes need some work, for sure, but that’s the biggest drawback. I like the way, if I attach a census record in Ancestry, it is automatically downloaded and saved on my hard drive by using Family Tree Maker. I think there is better software out there, but none that presents itself live and up to date on the internet the way this pairing does. And since I also have an auto-backup of my computer files, I feel confident that my tree is saved in numerous ways. But I find when I set the wrapping for a picture to “tight,” the pictures can, later, jump around the pages in unexpected ways. This can get really frustrating. Particularly at 11:30 p.m. I think I found a way to alleviate this problem by setting the wrapping “through text” and then locking the picture into a certain position on the page. This seems to work well although it’s not as elegant as all that wrapped text. My plan was to use Adobe Acrobat to compile the pdf book from Family Tree Maker followed by a pdf version of the Word document containing stories/posts/documents/photos. Once assembled, I’ll have to make a cover on the book printing website. I’ve noticed a lot of offers out there to “print your blog” and “produce a book from your blog entries.” However I really had no desire to print my blog entry-for-entry. I wanted to only use some of the posts, and parts of others. I couldn’t find an easy way to do that in any kind of automated fashion. So if I was on my own, I wondered how Word would work if I just copied and pasted a complete post, pictures and all, into the middle of my stories/photo section. 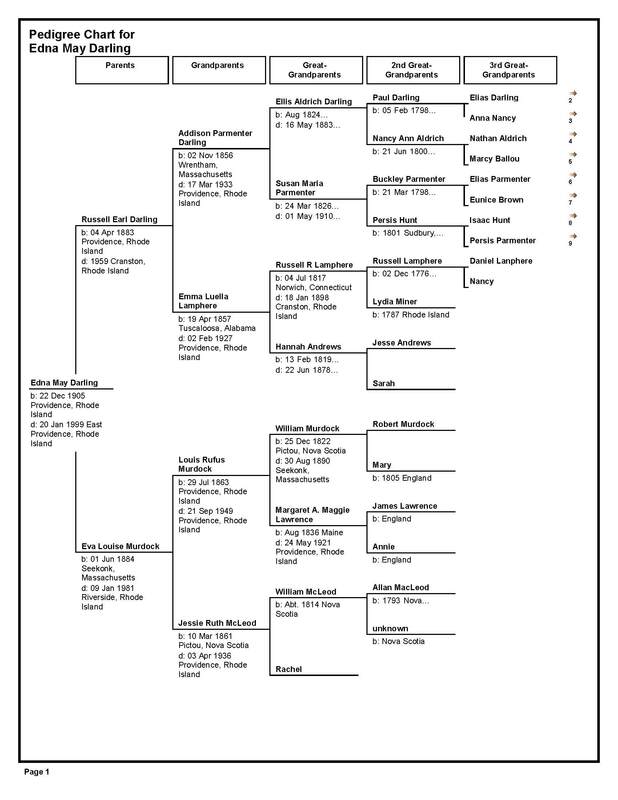 A Pedigree Chart for the person whose ancestry is the subject of the book, Edna May Darling, my mother’s mother. I feel that people may be able to follow the chart more easily than the report. An Ahnentafel for Edna’s father, Russell Earl Darling. I realized, going through this, that I am way too dependent on “Residence,” “Occupation” and “Burial.” I should be using a wider variety of fields. I made a list of desirable fields to use and taped them to my computer. But that will be for future use. Ahnentafel Report for Russell Earl Darling, 161 pages. 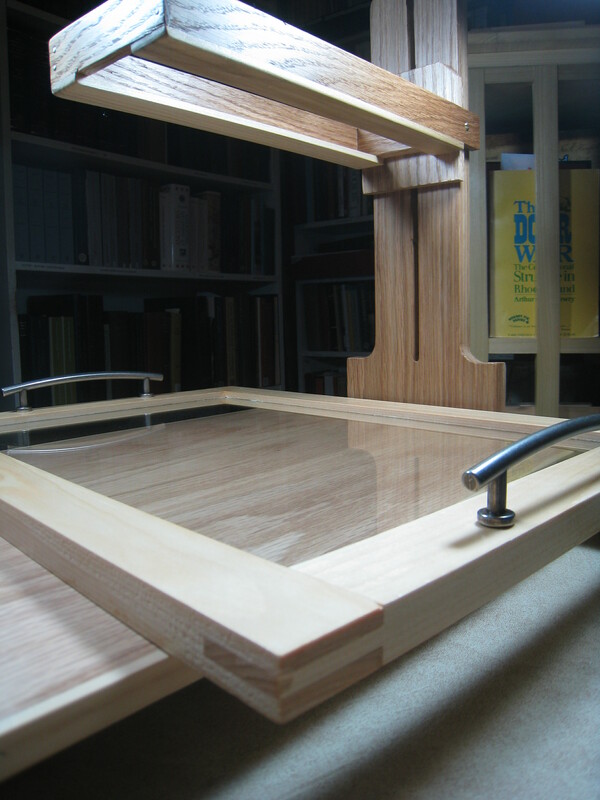 An Ahnentafel for Edna’s mother, Eva Louise Murdock. I knew my great grandmother. She was a lovely person, and everyone who knew her could only remember her fondly. In fact, knowing her somehow informs my understanding of my entire family tree. So how embarrassing is it that her Ahnentafel is seven pages long? Nice going! Her father was adopted, but I have no idea how random that was or wasn’t. Her mother appeared in the U.S. around 1881 as a twenty-year-old from Pictou, Nova Scotia. Presumably, she was alone, although we all know it’s usually more complicated than that. I have not reliably traced her parents. I’m not sure where I even got seven pages. 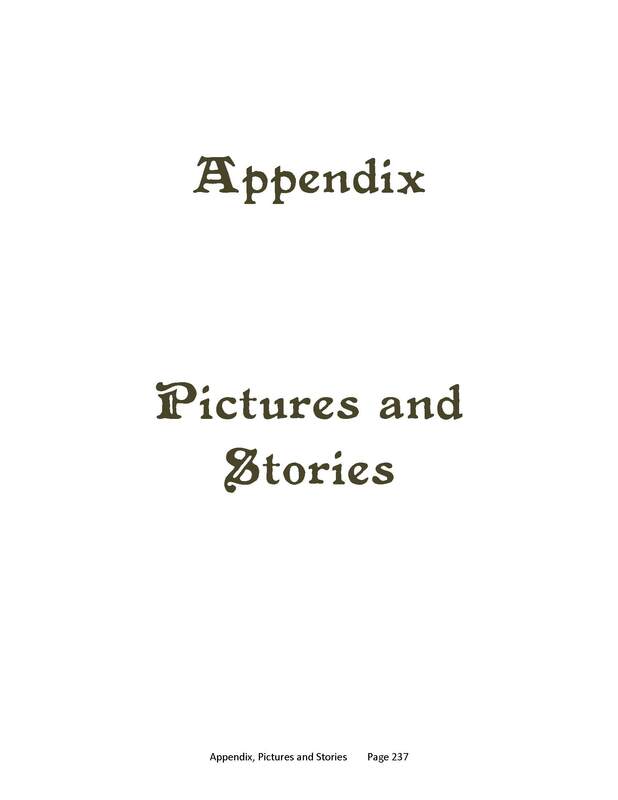 Eva Louise Murdock’s Ahnentafel is seven pages long. Well, that’s embarrassing. A Place Usage Report. Family Tree Maker does not offer an index, exactly, of places, but it does have a Place Usage Report. So I created one for the direct ancestors only, in this section of the tree. This was only 34 pages. When you build a Place Usage Report into your book, be sure to specify, the ancestors of a specific person, otherwise it will give you places for the entire tree. 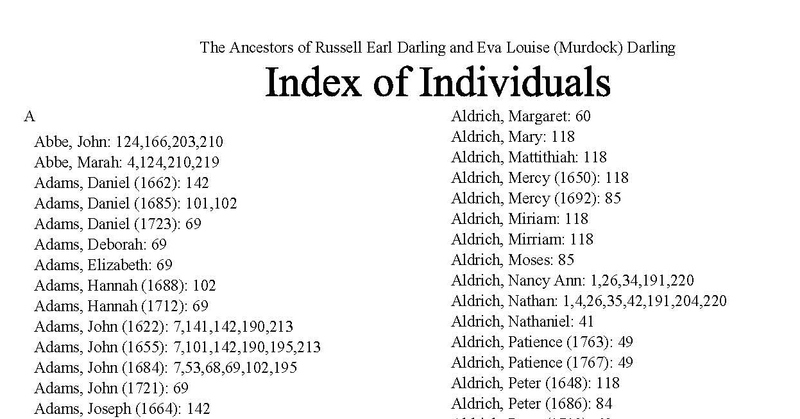 The last section of the Family Tree Maker portion of the book is the Name Index. This was 10 pages. The only way Family Tree Maker will produce an index for your Ahnentafel is to put the Ahnentafel into a “Genealogy Book”, then go to “Other” and you will see the option to add an index as a section of the book. It only indexes the people in your Ahnentafel. I wanted to add the photos/blog posts/documents/records in a section at the end. Obviously, I had to be very selective. I needed to group the items somehow and limit this section to ideas or family members that I thought would be somewhat recognizable, and more about the history of my family than the pangs and uncertainties of research. I decided to group them by family name, arranging each item for that family name from latest to earliest. This is not typical, I suppose, but I thought it might be more comprehensible to someone who is not used to all these names. I think most people can understand “the Darlings”, “the Aldriches”, “the Murdocks” and so on. I started the page numbers where the Family Tree maker sections left off. 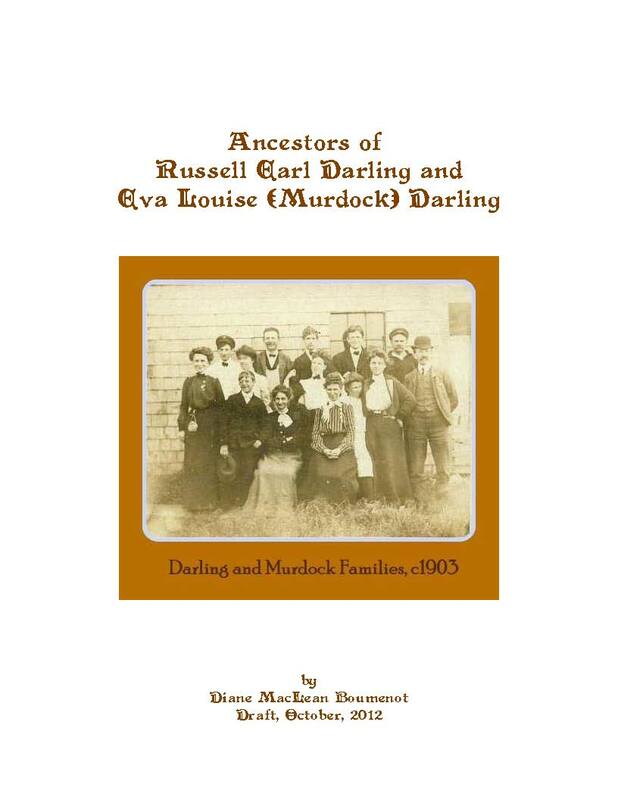 The Darling section will also contain some early census records and some stories about the earliest generations. There are about 40 pages drafted for the last portion of the book and I expect this section to be about 150 pages. While I have chosen and organized many of the items, it will still take a couple more weeks to finish those pages. The post that follows this, about printing the book, is here, “Producing a Self-Published Book in Ten Steps”.